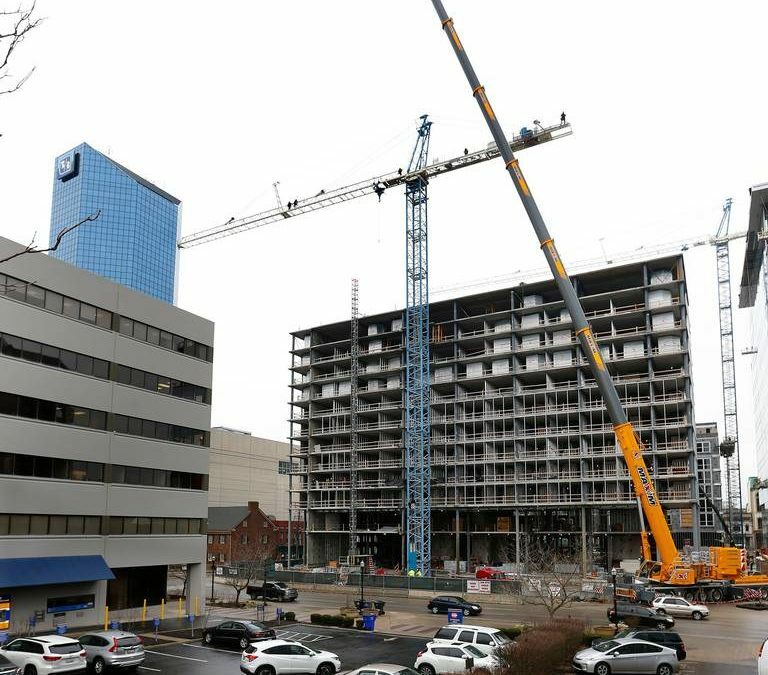 A tower crane that has been on the site of the City Center development in downtown Lexington, KY for four years is coming down as work on the project’s three buildings begins to wind down. Work started Thursday on removing one of two tower cranes as Maxim Crane supplied the Hammer Head tower cranes and the All Terrain crane used for removing the tower cranes. 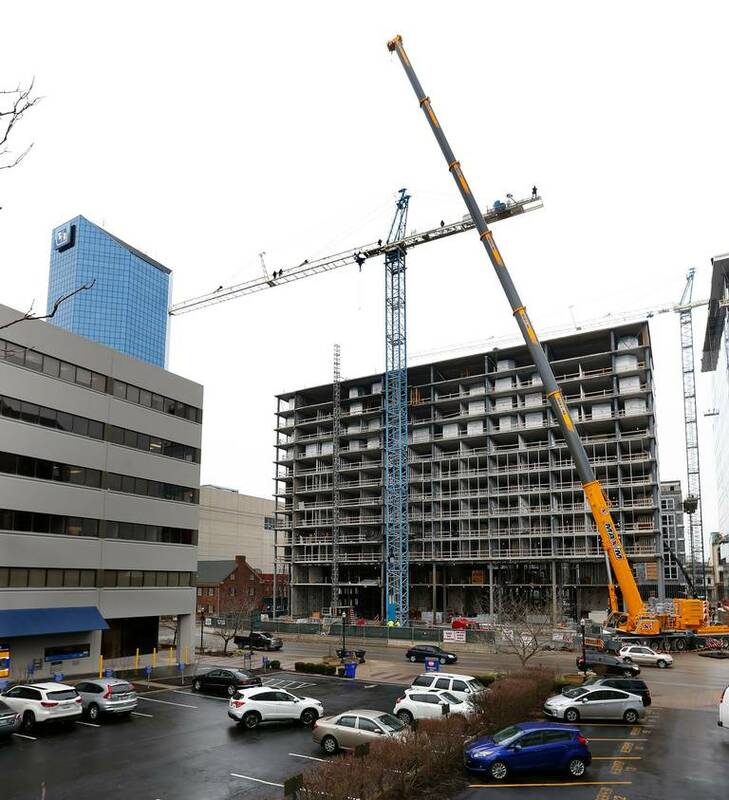 “The second tower crane will be working until April or May,” said Dudley Webb, of the Webb Companies. The Marriott hotel has been “topped off,” but construction still continues on the exterior and interior of the Marriott and the Residence Inn. According to Kentucky.com, The hotels are scheduled to open in the fall, along with the 12-story office tower next door. Jeff Ruby’s Steakhouse is scheduled to open in April. Crews worked disassembled a hammerhead tower crane that has been on the site of the City Center development for four years. The tower crane was at height of over 300 feet – an All Terrain supplied by Maxim Crane was brought for disassembly. See detailed information about the cranes offered by CraneMarket. We have so many cranes for rent! Check them now.